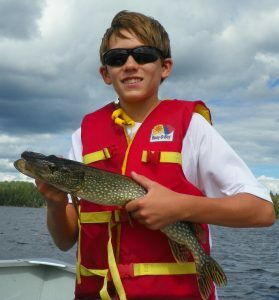 Our Fishing Camps are for boys ages 10-17 who have a love for fishing and want to fish for many hours each day. We welcome well-behaved, honest campers who respect and follow the directions of the camp staff and any other authority during the camp. Campers must be respectful to one another. We are not equipped to handle campers with severe emotional or mental health issues that prevent the child from being able to appropriately interact with his/her peers and follow directions. 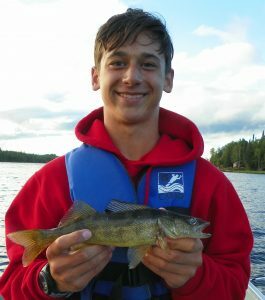 Our fishing camps are exciting lifetime memory-making opportunities that even most adults don’t have a chance to experience! 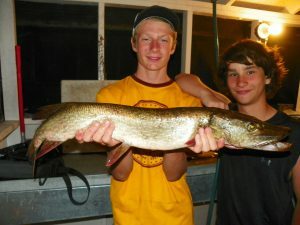 The camp is focused on fishing and we fish many hours each day! 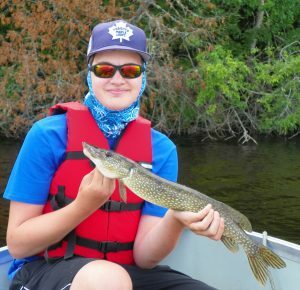 Usually our wilderness camps have between 10-15 participants, which allows all of our campers to receive very special and personalized attention. We strive to encourage and motivate each child to get along well with others, to face new challenges and acquire useful skills, that add to the richness of their lives. 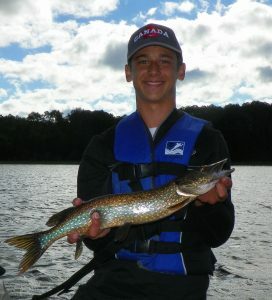 It’s rewarding , as we work together in the outdoors to achieve the goals of each group. TASC is grateful that our frequent return rate of campers speaks positively for the proven success of our program. 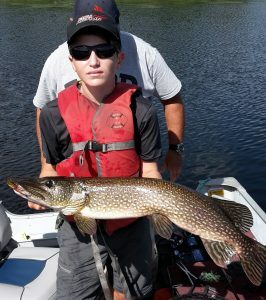 Through the years, we’ve had campers from many parts of the US, Canada & several other countries attend our Fishing Camps. Here are just some of the states, provinces & countries that our campers have come from to attend our camps through the years; Ontario, Virginia, Maryland, Pennsylvania, New York, New Jersey, Connecticut, Massachusetts, New Hampshire, Maine, Georgia, North Carolina, Florida, Texas, Ohio, Michigan, Wisconsin, Illinois, Iowa, Missouri, California, New Mexico, Alabama, Minnesota, Kentucky, Belgium, Italy, France, UK, Switzerland, Germany, Venezuela, Mexico, BVI, China, Kuwait. We welcome campers from any state, province or country!